James Brokenshire has written to Trevor Reaney, requesting advice on MLA pay in the absence of an NI Executive and sitting Assembly. Mr Reaney, a former Clerk and Chief Executive of the Northern Ireland Assembly and a current member of the National Assembly for Wales Remuneration Board, will provide this advice. 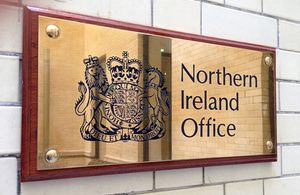 The Secretary of State’s letter sets out the scope of the requested advice.